Jeff Vogel. 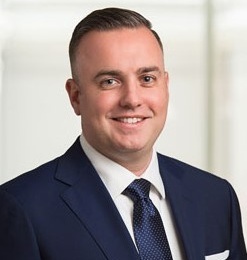 Before Jeff joined the Cozen O’Connor law firm, he established himself in the Washington, D.C. maritime world while working at the U.S. Department of Transportation and for Maritime Administration. At MARAD he was the acting chief of the Division of Maritime Programs, lead attorney for Maritime Support Programs, and an attorney-adviser. His work there covered the Maritime Security Program and the Federal Ship Financing Program’s (Title XI). His served as maritime legal adviser to the U.S. Trade Representative overseeing the legal aspects of the Capital Construction Fund and Construction Reserve Fund. He was also the first MARAD attorney ever selected to attend the U.S Naval War College. Jeff earned degrees from the University of Maryland College Park, University of Miami Rosenstiel School of Marine and Atmospheric Science, the University of Miami School of Law, and the U.S. Naval War College.